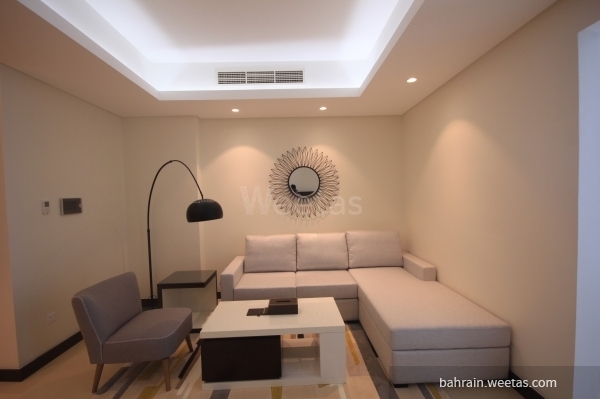 Spacious fully furnished studio available for rent in Juffair. The Studio lies in an upscale project, a high class residential project that offers an upscale lifestyle in a great location in Juffair area, with easy access to all landmarks in the neighborhood. The elegant studio is very spacious. It is fully furnished and fully equipped with modern furniture and new appliances. The building features excellent amenities to the tenants, including a swimming pool, a fitness gym and a wonderful kids’ play area. The monthly rent is 375 BHD inclusive of internet, and including 20 BHD limited for water and electricity. This property costs 1.5% less than the average Studio Apartments in Juffair area.